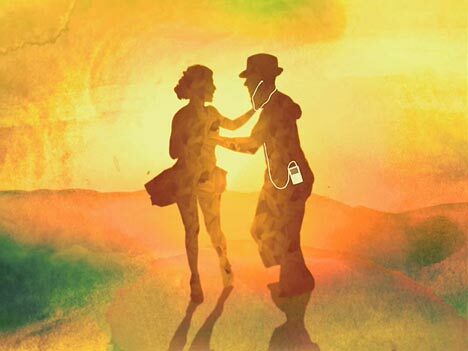 Apple has released the latest of its silhouette TV ads for the iPod and iTunes, this time with a Puerto Rican flavor. Dancers of all ages groove to the sounds of “Mi Swing Es Tropical”, by Nickodemus & Quantic featuring Tempo. 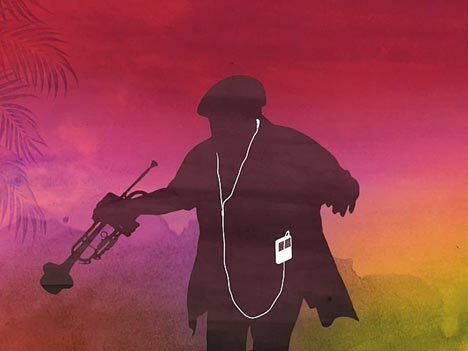 The Apple iPod iTunes Tropical Island TV Ad was developed at TBWA\Chiat\Day, Los Angeles, by chief creative officer Lee Clow, executive creative director Duncan Milner, creative director Eric Grunbaum, associate creative director/art director Scott Trattner, art directors Jamie Reilly, Drew Stalker, William Esparza, agency producer Serena Auroux, assistant producer Hank Zakroff. Apple Island was directed by Mark Romanek via Anonymous Content, Los Angeles, with producer Scott Kaplan and Nicole Steele, director of photography Robert Richardson, executive producers Susye Melega and Dave Morrison. Editing was done by Glenn Martin at Nomad. Special effects/VFX and telecine were developed by Company 3. Pablo Rodriguez of Candela Records and Candela Bar arranged for New York DJ Nickodemus to work with Quantic (Brighton-based Will Holland), Tempo & The Candela Allstars in San Juan, Puerto Rico. The resulting track was added as the first tune on Nickodemus’ re-release CD, “Endangered Species”.